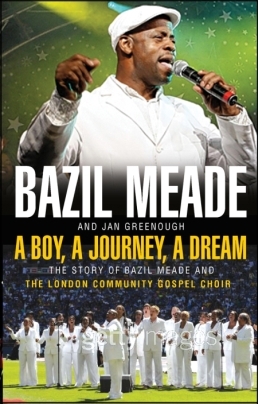 ‘A Boy, A Journey, A Dream’, Bazil Meade’s first autobiography. Bazil tells the story of his journey & how it has taken him from the cotton fields of Montserrat to the 2009 FA Cup Final where LCGC performed the FA Cup hymn. He was born into poverty and a life without hope but found his future fulfilled through his calling to music. Bazil left the Caribbean and came to England at 9. A difficult relationship with his stepfather led to his leaving home at age 13 and moving in with his pastor who suggested he take up music. She prayed and laid hands on him and by the end of the evening he could play the piano. Within a fortnight he was performing in public. To this day, Bazil still can’t read music and plays purely by instinct. He has worked with most of the greats – from Daman Albarn (Blur) to Beverly Knight – and the book carries some impressive endorsements.